Our common response to conflict is punitive and retributive. It fosters emotion and anxiety. It sustains fixed positions and makes us blind for the perspective of our opponent. Dominic Barter developed a restorative justice model that does just the opposite: it embraces conflict. It accepts it as a regular recurring, normal phenomenon and moves towards it, instead of away. 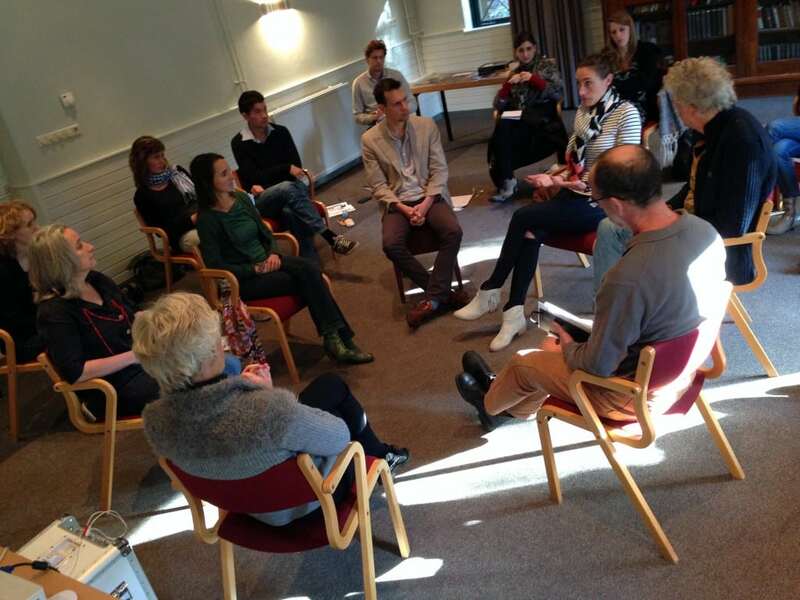 On Saturday November 8 Charlotte Keijzer, Network member and former judge, introduced us to principles of Restorative Circles during the third Perpectivity Network Event of this year. 18 people joined at the Hoorneboeg in Hilversum. A Restorative Circle is a community process supporting those in conflict. It brings together the three parties to a conflict –the “actor”, “the receiver” (the one directly impacted) and the wider community– to dialogue as equals. Charlotte explained that Restorative Circles are facilitated in 3 stages. During the pre-circle a facilitator from within the community talks with each individual involved to identify the key factors and participants in the conflict. The circle is a dialogical process in which receiver, actor and community open up to other perspectives and try to find agreed actions. The post-circle investigates the well-being of all participants. During the event we had the chance to try a test circle with a real conflict of one of the participants. Although the circle was partially filled with fake actors, the experience was still very intense. It demonstrated the strength of a seemingly simple, but very powerful ritual of recurring questions to the participants in the circle. To the receiver: “What would you like the actor to know in relation to the situation.” To the actor: “What did you hear her say?” And back to the receiver: “Is that what you wanted to say.” The test circle also showed us how difficult listening to one another is, especially when there is a conflict. After lunch we talked about installing a restorative practice within Perspectivity and how we could go about that. Several Network members indicated that they wanted to be trained as facilitators.